Come see why kids and their parents love our program. We make learning to tumble fun and exciting! We promise your kid will leave here with a simle on their face and some sweat on their forehead! Why join the PCT Family? Amazing Instructors. PCT's, tumbling class instructors are the best in the biz - their knowledge and passion comes through in everything they do. If you're looking for something that your child is going to LOVE and want to stick with....these are the classes for you. Results. Each class is designed to ensure results. Athletes cycle through a series of drills and then get one on one time with their coach who will instruct (and spot) them through their skills. It doesn't matter if its a front roll, a back walkover or a standing full.....Drills + Skills = RESULTS! Specialized Small Classes. 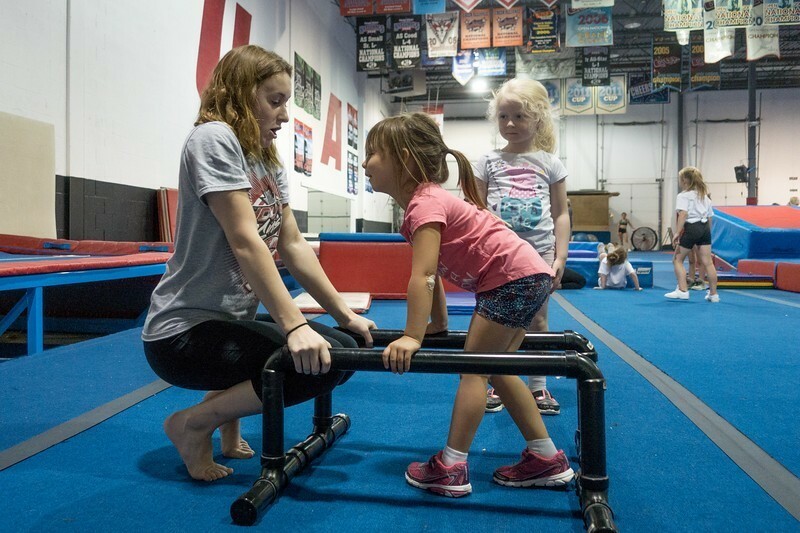 Tumbling Classes at PCT are specialized: with dedicated equipment, a world-class program and a strict athlete to coach ratio. These factors combined keep classes purposeful. Fun, Fun, Fun. Sure, your child will be learning, and you can also be sure that they'll be sweating during class; but, be having fun while doing it. We make sure to celebrate every milestone and to smile at every opportunity. Your child is going to LOVE tumbling at PCT.